Disclaimer: I am not being compensated for anything in this post. Like, at all. In other words, this disclaimer has no purpose whatsoever; I just really wanted to disclaim something. You could say that brunching is a hobby of mine. You could also say that shooting free throws is a leisurely pastime for LeBron James. In case you don't get the sports reference, LeBron James is arguably the best basketball player of all time. In other words, he shoots foul shots like it's his job... because technically, it is. And that's sort of how I brunch: like that's how I'm paying the bills. And like any serious bruncher, I know that the number one rule of brunching is this: dress like you mean business. 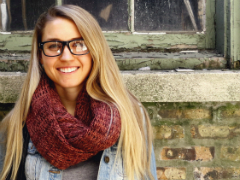 Even if you're not an edgy city chick, you better at least pretend like it, because Chicago foodies can sniff out a brunch newb two miles out. 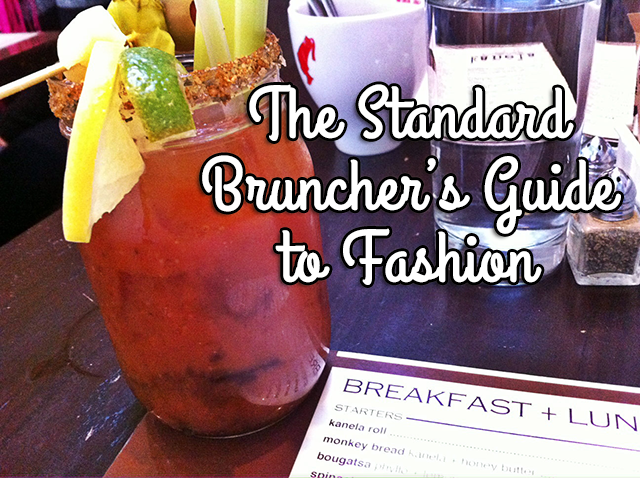 How do you dress like you've been around the Chicago brunching block? It's simple, really; wear everything you think that no one would ever wear. I'll admit that it's hard to keep up with city trends. You're in line buying studded boots while, unbeknownst to you, Chicago has moved on to moccasins. So my trick is to always stay one step ahead of fashion by wearing things that you can't possibly think are in style. Because odds are, that's exactly what's "in." Still don't get it? I will demonstrate how it's done with my outfit from last weekend's brunch. I call this look "Army Lieutenant Meets Hot Dryer." You see what I did here? 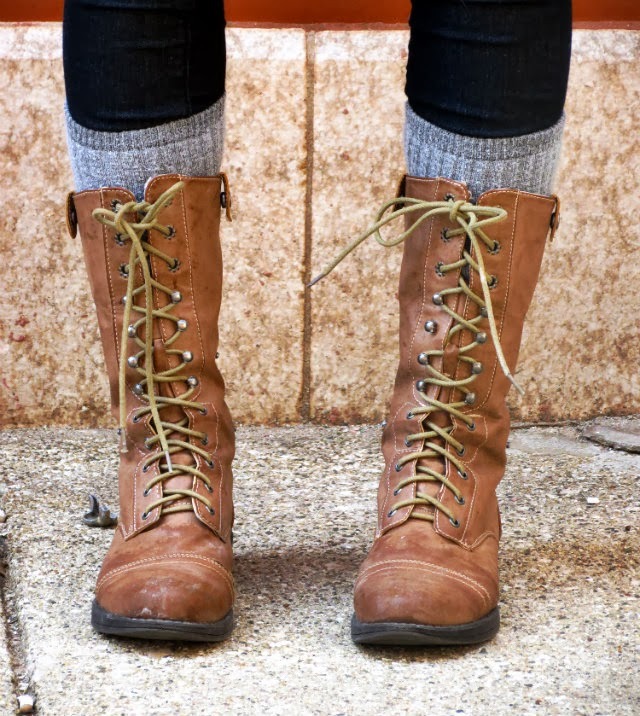 Before I moved to Chicago, the thought of wearing shin-high laced boots and a cropped sweater would seem outrageous. But it's a cruel bruncher's world here in Chicago, so you've got to be willing to take some risks. 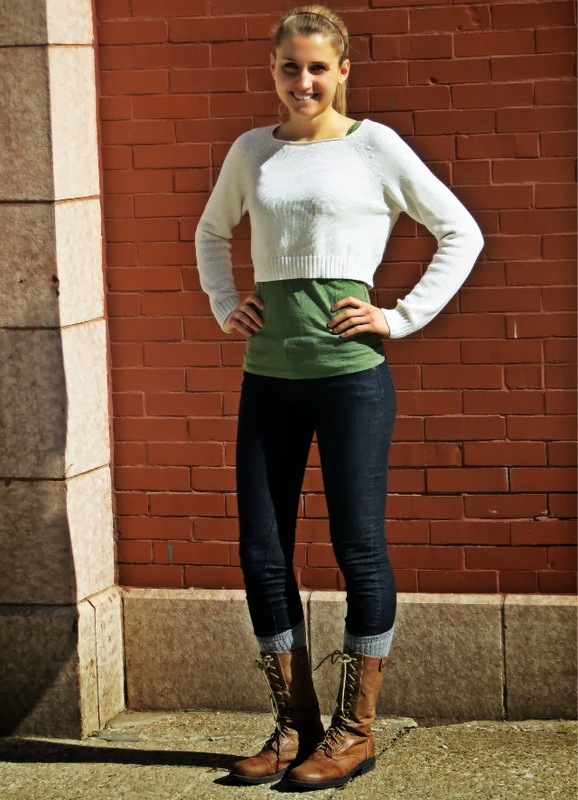 This little slice of personal style is part of Red Envelope's "#RedStyle - Embrace Your Personal Style" campaign. That's all I've got for you, Hump Day. You're adorable, take me to brunch with you. You will have no competition for the bloody Mary's as long as I get bottomless mimosas.